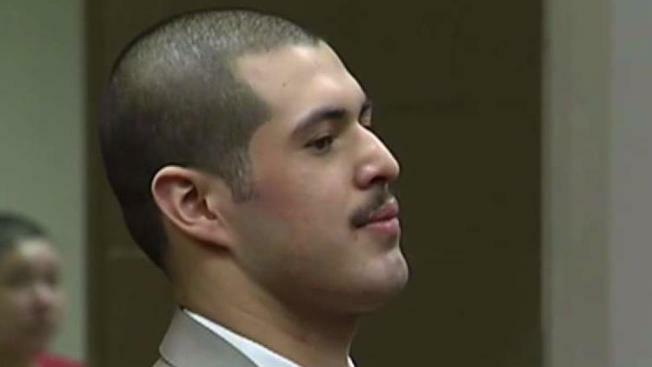 The official sentencing for Antolin Garcia Torres, the convicted killer of Morgan Hill teenager Sierra LaMar, is scheduled for Tuesday in San Jose. Garcia-Torres, 26, was convicted in May of first-degree murder in the 15-year-old girl's death and the attempted kidnappings of three women in 2009. The sentencing, which was originally scheduled to take place in September, was delayed as the court considered a challenge from the defense to remove Santa Clara County Superior Court Judge Vanessa Zecher from the case. Garcia-Torres and his attorneys claimed that a conflict existed between Zecher and lead investigator Herman Leon -- a Santa Clara County Sheriff's sergeant -- as she represented him as deputy county counsel in a previous civil lawsuit in 1991. Zecher was the legal representative for Leon and other Santa Clara County sheriff's deputies in a suit 27 years ago that alleged Leon played a role in the death of Jeffrey Leonti, a mentally ill inmate, when he worked at the county's main jail as a guard. A San Francisco Superior Court judge denied the motion to remove Zecher and a request for a new trial in November. The penalty phase of the trial began May 16, a week after Garcia-Torres was found guilty of the missing teen's murder. A jury decided not to hand Garcia-Torres the death penalty in June, sentencing him to life in prison without the possibility of parole. Jurors deliberated for around eight hours before deciding on the sentence for Garcia-Torres. Prosecutors sought the death penalty for Garcia-Torres while his defense attorneys presented sympathetic evidence about the abuse, poverty and neglect his family endured as he grew up in order to sway jurors to give him a life sentence. Garcia-Torres' father, an alcoholic who sexually abused a female relative from age 5 to 14 while Garcia-Torres was growing up, is serving a life sentence at Salinas Valley State Prison. Sierra's body has not been found since she missed her bus to Ann Sobrato High School in Morgan Hill on March 16, 2012. Hundreds of community members searched for Sierra following her disappearance. Some attended almost every day of the trial and have continued search efforts in the South Bay.